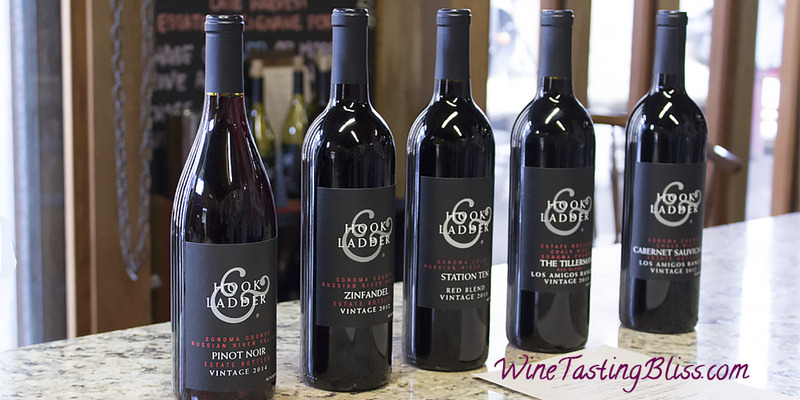 The Hook & Ladder Winery has been on our “must taste” list for several years, but a series of events have conspired to keep us away. 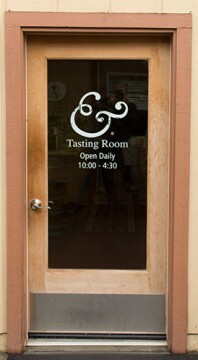 We recently braved the savage (for California) rains to visit their tasting room. Not even pouring rain could dampen our enthusiasm! Rain, rain, go away. 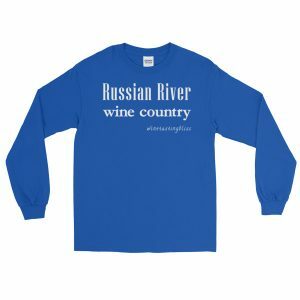 At least move up into the mountains so that the water ends up in a reservoir so that we can drink it this summer. 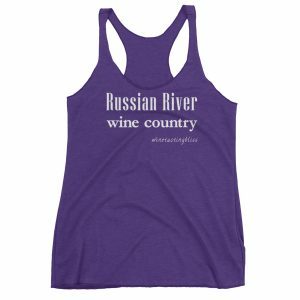 Nonetheless, we were on a wine tasting tour around Santa Rosa and were determined to finally visit Hook & Ladder or know the reason why! Although the expansive parking lot was nearly empty, we discovered a tasting room full of happy tasters, unbowed by the rain. The long primary bar area had clusters of people enjoying themselves, but there was a perfect opening for the four of us, right by the door. Tasting room manager Devin Ruddick welcomed us to Hook & Ladder and set us up for our tasting. Must be a lot of shirtless firefighters! 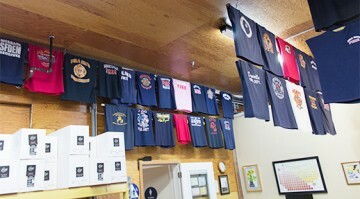 The tasting room was a festival of all things fireman! Tee shirts and station patches were displayed everywhere. We learned that the founder, Cecil De Loach (yes, that De Loach) was a firefighter in his first career, so the name Hook & Ladder and the homage to firefighters made sense. Devin told us that the De Loach family started growing wine grapes in 1970, graduating to producing wine under the DeLoach label five years later. After a successful 30 years growing DeLoach Vineyards, Cecil sold the DeLoach label and opened Hook & Ladder to get back to small lot, hand-crafted wines. Devin started us with a nice off-dry 2014 Severson Ranch Estate Early Harvest Gewurztraminer. The “early harvest” in the name is to distinguish it from their “late harvest” dessert wine of nearly the same name. We jumped to reds with their 2014 Estate Pinot Noir. We loved the smooth and balanced fruit, with a dialed back sense of terroir. Awarded the family appellation of “delish”, we moved on to their 2012 Estate Zinfandel. The dance of berries and cherries left a dry acid finish that left me looking for a good steak to pair. Devin immediately followed up with their 2013 Stations 10 Zinfandel Blend. Taking its name from Cecil’s fire house, this blend of old vine Zinfandel, Carignane, Alicante Bouschet, Petite Sirah and Cabernet Sauvignon delivered great balance and restrained spice. A great introduction to Zinfandel for beginners. Our next taste was described as a “flagship wine” so expectations were pretty high. Their 2013 Los Amigos Ranch Estate “The Tillerman” Cabernet Blend did not disappoint. Joining Cabernet Sauvignon was Cabernet Franc, Sangiovese and a splash of Merlot. The result was a smooth progression of dark fruit flavors and a lingering finish. Some research determined that a Tillerman is the fireman driving the back wheels of a long ladder truck; Cecil’s specialty when an active firefighter. With an unrelenting storm outdoors, we selected our wines to purchase, thanked Devin for all the attention, and set off for our next winery. We still had two wine club releases to pick up, so we couldn’t dawdle. 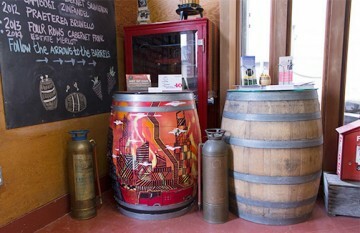 The Hook & Ladder Winery was well worth the rain to visit! 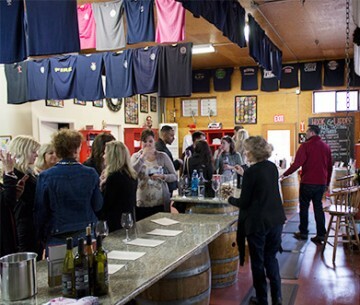 Have you visited Hook and Ladder Winery? Click to give'em a tweet of support!